The most comprehensive canoeing techniques book ever is now available for the first time in paperback. Illustrated with 600 full-color photographs, this wide-ranging book is designed with both beginner and seasoned canoeists in mind. 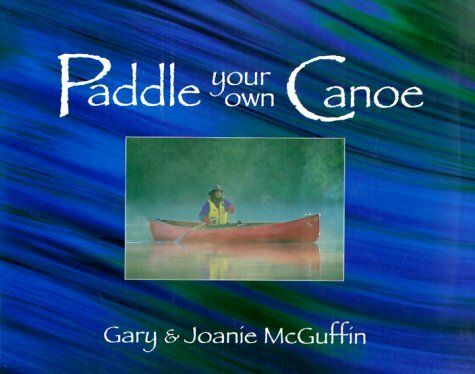 Gary & Joanie McGuffin, North America's most celebrated canoeing couple, discuss issues rarely covered in other how-to guides, such as developing fitness and balance. The book offers first-hand, experience-based instruction on outfitting, reading the river, paddling strokes for all flatwater and whitewater conditions, advanced turns and maneuvers, portaging, safety and rescue techniques - even how to tie a canoe on your vehicle. Gary and Joanie McGuffin are known worldwide for their expeditions as professional adventurers. They regularly publish feature articles in such magazines as Explore, Canoe and Kayak, River, and Photo Life. Their book, Superior: Journeys on an Inland Sea, received the Great Lakes Booksellers' Association Best Book Award.